Furniture pieces are expensive but a must for your home. The best way to save money on furniture is to create it yourself. Now of course creating something from scratch can take time and money that you simply don’t have. Do-it-yourself projects usually involve recycling and reusing. Try reusing the old pieces of furniture in your home to create pieces that look brand new! 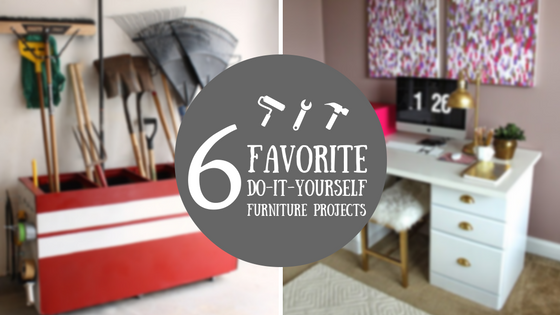 These six projects will save you tons of money while creating a piece of furniture you desperately need for your home. 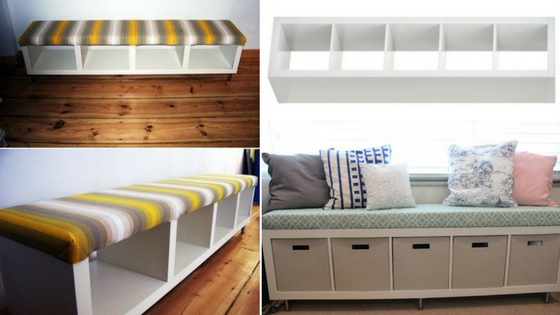 This is an easy project that gives you extra seating and storage in one. Take a simple bookshelf and turn it sideways. Create a cushion with a board, piece of foam, and piece of fabric. There is plenty of room to slide in baskets and bins in the empty slots. Use them to store toys, books, or other objects in need of a home. Many people lack the amount of storage they truly need within their home. Creating storage can be difficult and strenuous. Most people look for places in cabinets or on counter tops, but what about vertical storage on the wall? Pegboards are one of the more popular storage solutions at the moment. They are one of the most versatile options that will declutter any room in the home. The vertical storage not only gives a home to your belongings, but it will fill up the blank spaces on your walls. Pegboards can be painted, enlarged or reduced in size, and can hold objects on every inch. Not to mention the objects can easily be rearranged or you can move the pegboard as a whole. The options are endless with pegboards. 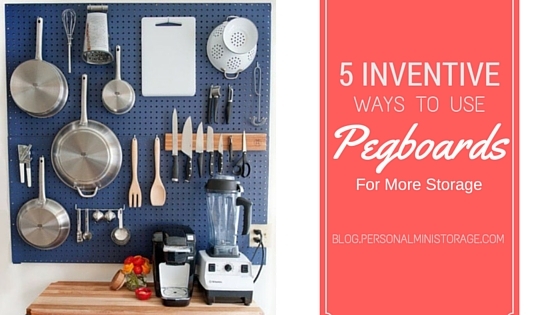 Here are just five ways you can use pegboards for more storage around your home. Creating more storage isn’t always easy and affordable…but this time it is. You can create more storage by reusing items that are no longer being used for their original purpose and taking it to a whole new level. Use those items, instead of throwing them away, for something else. Many reusable items can be used for creating super organization while gaining a great deal of storage. 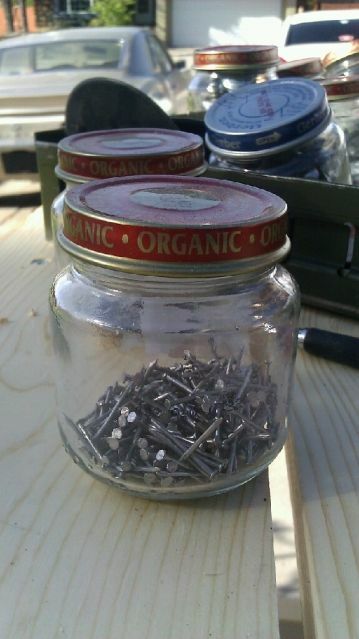 Jars are a great item to recycle and reuse. Many things are purchased in a jar like candles, sauces, pickles, and baby food. So don’t throw those jars away. You are about to get creative. 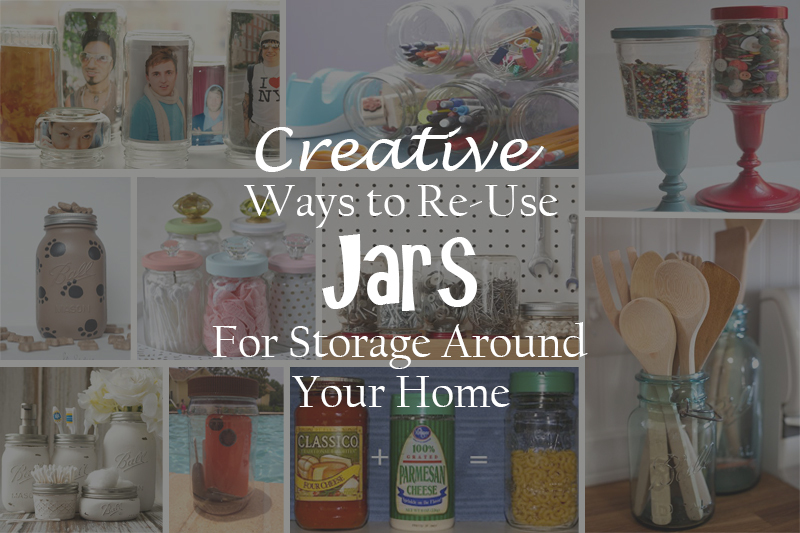 Here are some ways to reuse jars for more storage around your home! Don’t you find that everything tastes better when it is stored in glass? 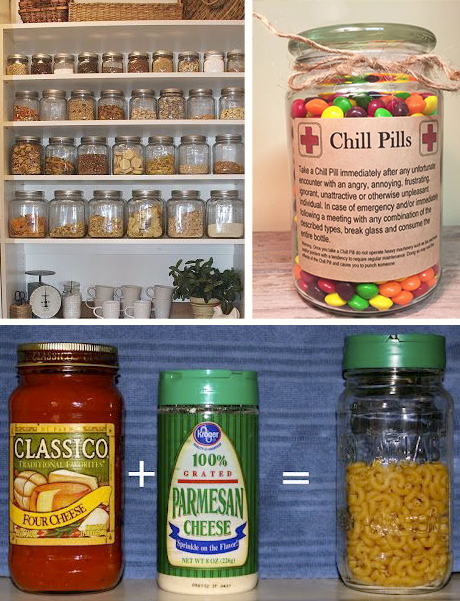 Use the glass jars for storing your leftovers. 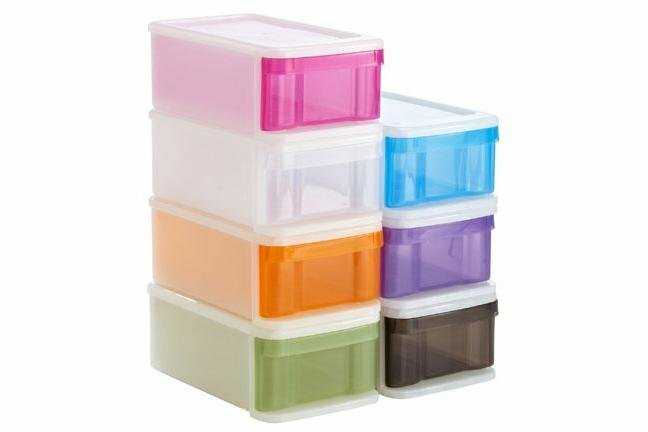 You can also use them to store your macaroni, rice, sugar or just about any food item. They will fit nicely in your pantry and will stay fresh as well. You won’t have the worry that your food items will attract ants either like you would with an open bag or box. With a lid that screws on you will know that your food is safe from the critter invasion. If you are making something in the kitchen to give to someone else you can deliver it in a jar. Dress it up with a ribbon and a little gift card and your thoughtfulness will shine through. Summer weather is here and children will be on summer break before you know it. Summer activities are filled with water, dirt, and lots of running around. Keeping the home organized and clean is difficult when you are trying to keep the kids entertained and busy. Shoes track dirt through the home, toys and craft supplies spread everywhere, and water drips from wet bathing suits creating puddles that are waiting to be the cause of a slip and fall accident. 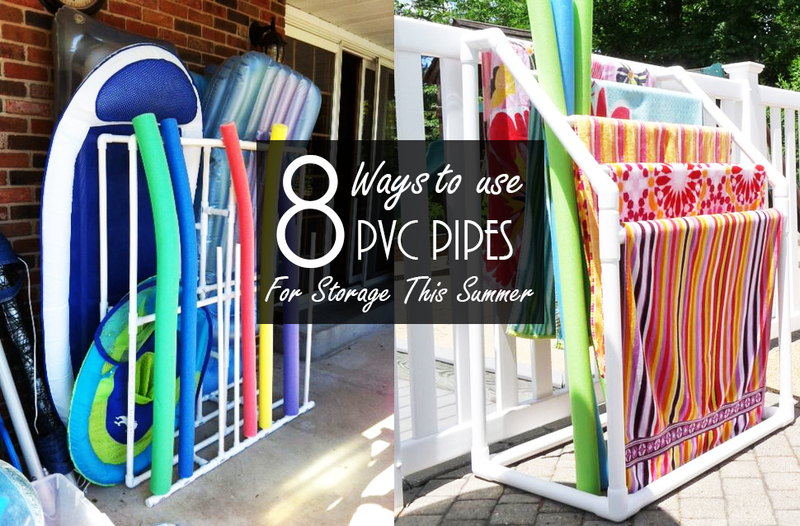 You can have a smooth sailing summer using PVC pipes for organization, storage, and summer fun. 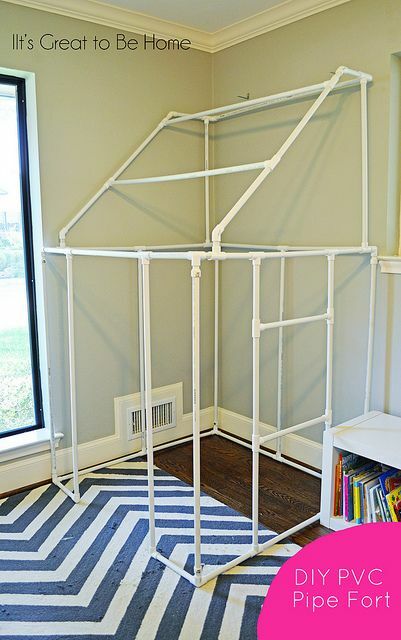 PVC pipes have many uses, but storage is one that we love! 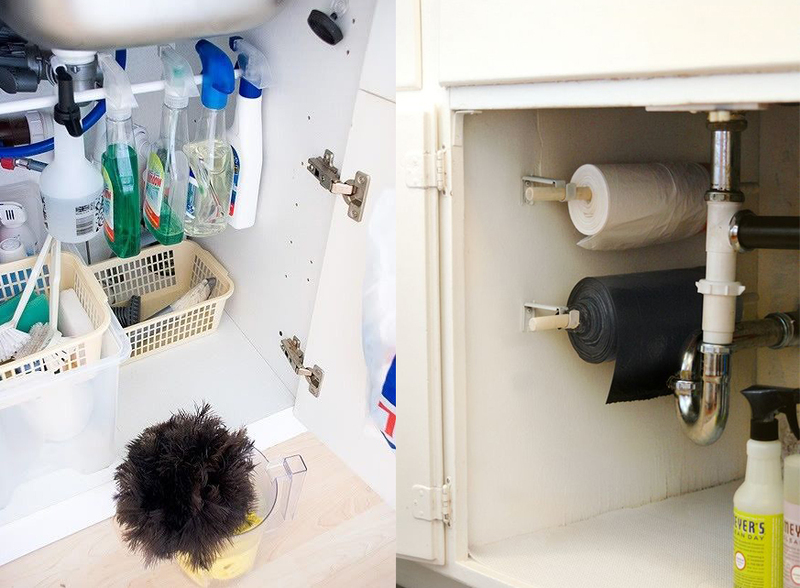 Here are 8 genius ways to use PVC pipes for storage this summer. Create awesome toy storage to make sure the toys stay organized through out the summer. Outside activities are great for children. 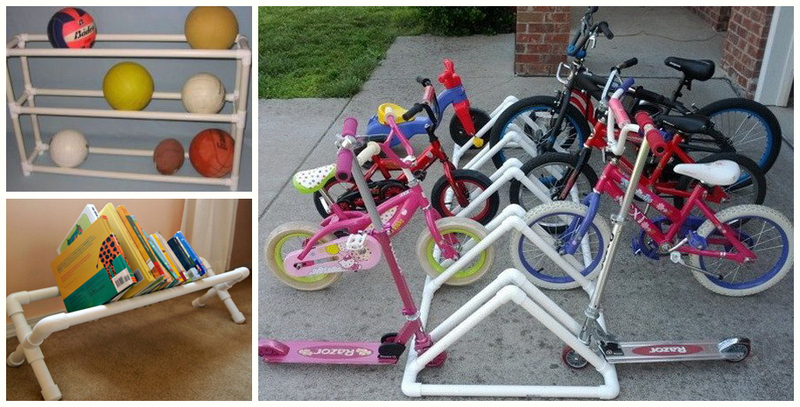 Creating storage for their bikes and scooters out of PVC pipe is quick and simple. This will keep the bikes out of the drive way and from possibly being in Dad’s “blind spot” when he backs out in the morning. You could create a ball rack as well. Balls are hard to store with their cylindrical shape. You can’t stack them and only a few will fit in a fairly large basket. This is a great storage solution for all the different sports balls you have in your garage! Reading is another activity that is great for children over the summer. Though school is out, it is important to continue their education to make sure they will excel in school next year. You can create a book rack for some of their favorite books. This makes it easy for the children to reach and grab a book independently. They say the kitchen is the heart of the home but sometimes it isn’t always the most organized part of your home. Keeping your kitchen organized is just one of the steps for a stress free life. There are plenty of tips and tricks that will give you better storage options and organization skills for your kitchen. 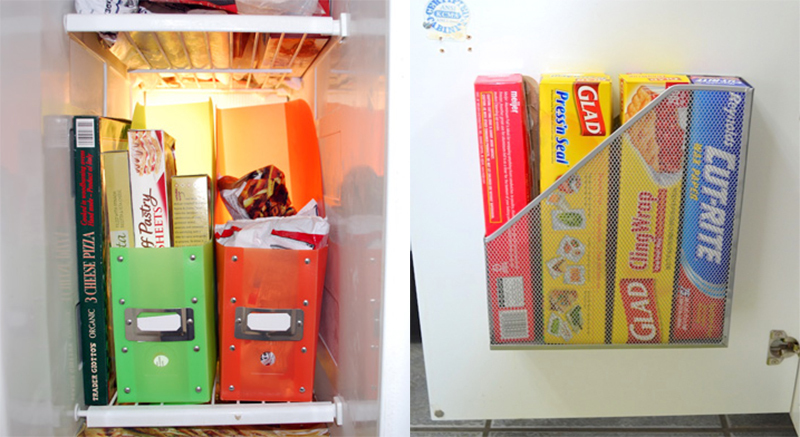 Here are a few of our favorite kitchen hacks that will help you create better storage in your kitchen! Magazine holders aren’t just an office supply. They can be used in the kitchen for several different purposes. You can use it to put your aluminum foil, saran wrap, and baggies in. This gives you more storage in your drawers and also makes for an easy find. You can also use them for storage in the freezer! 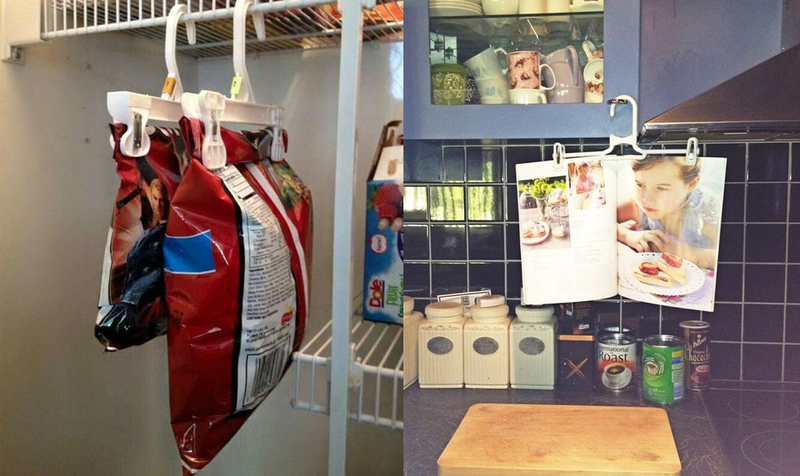 Use them to hold bags of frozen vegetables and fruits. This will keep the bags from tumbling down on you when you open the freezer door or are searching for that specific veggie. Living in a dorm room may, at times, feel like you are living in a very cramped space shuttle- for an entire school year. It’s important to stay organized and utilize every inch of space in your room. Once the school year starts, you will find yourself busy with schoolwork, social events, and sporting contests- which is why we’ve put together a list of space savers for your dorm room to get now, before the excitement of the new school year starts. It’s inevitable- your dorm room is small. It will be difficult to fit everything without feeling boxed in. Make the most out of your room with these inexpensive space savers! 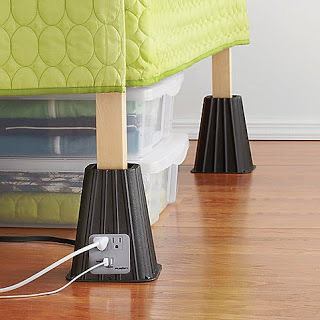 These bed risers from Bed, Bath, and Beyond help raise your bed seven inches off the floor for under-the-bed storage space. One riser even houses a power outlet for convenient charging. It’s mid- July and if you aren’t taking summer classes, you most likely have a month and half or less to buy dorm essentials, pack, and move away to college. That’s a little taunting, especially for those of you attending college out-of-state. What weather changes should you expect? Can you take everything you own with you to school? (The answer to that one would be a big no.) It’s not easy to pack for college, but it’s also not impossible. Follow this how-to and what-to pack list for a stress-free move. This is not high school anymore; there are no lockers to keep your old tests and loose papers. 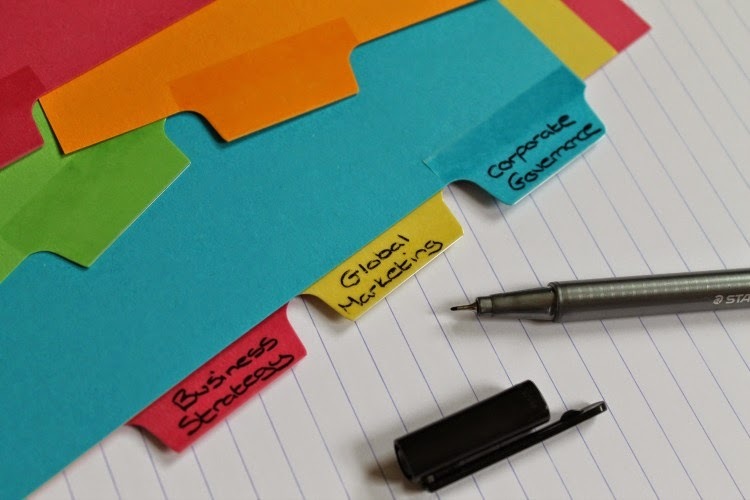 Invest in a pack of 4 or 5 file folders to put in a drawer in your dorm. Keep it organized by naming each file folder by class or activity.